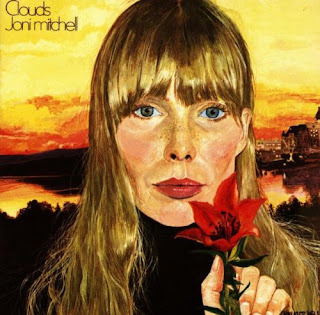 This is my first post in my re-listen to the music of Joni Mitchell in chronological order of album release. These posts come with all kinds of disclaimers, chiefly that I don't know what I'm doing. I wanted to write about the two Reckless Daughter books before starting on these posts, but I'm ready to move on to the second album, and haven't yet finished the books. So here we go. I hadn't listened to this album in a very long time -- probably not since childhood. I am the youngest of three siblings, and got into music much earlier than my peers, listening to anything my older siblings had. My sister and I adored Joni and listened to her obsessively. Of course in the present, all the songs came back to me immediately (long-term memory is amazing) and I knew many of the lyrics. The songs on this album hang together as a whole, which was very common in those days. The album is also thematically divided by sides: "Part I: I Came to the City", and "Part II: Out of the City and Down to the Seaside". 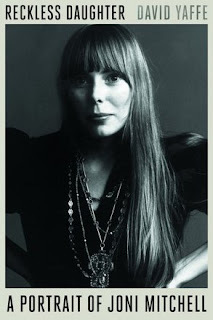 Joni Mitchell's early music is usually referred to as folk or folk rock. As I listened to this album over the past weeks, I kept thinking, This is not folk. There is nothing folk music about it. I was glad to see my view validated by Joni herself: in the anthology, in separate interviews over much of her career, Joni insists that she never recorded folk music. At the start of her career, she performed folk music in clubs and at festivals, but once she recorded her own music, it was never folk. But, she says, she looked the part -- female, long hair, acoustic guitar -- and no one knew what else to call her music, so they slapped on the folk label. Twenty, 30, and 40 years later, journalists were still referring to her as "folk music turned jazz singer" and the like. I read various descriptions of what comprises folk, folk-rock or folk revival, but didn't find any clear definition. To my own ears, folk and folk rock music usually have fairly simple lyrics, simple guitar chords, basic melodies (often a stock melody used for many different songs) and are full of repetitive choruses or refrains. Taken together, these elements make folks songs easy for anyone to play and conducive to sing-alongs -- hence folk, which means people. Song to a Seagull has none of those elements. Musically, Joni is already using the open tunings for which she will become famous, her playing already distinctively Joni. The melodies are complex and often unpredictable -- or almost nonexistent. The lyrics are dense and intricate. Repeated refrains or choruses are absent, too. In most songs, the closest thing to a refrain is one repeated line -- "And she's so busy being free" (Cactus Tree) or "My dreams with the seagulls fly / Out of reach out of cry" (Song to a Seagull) or "All his seadreams come to me" (The Dawntreader) -- or a line that changes a bit in each stanza -- "We have a rocking chair" (Sistowbell Lane) or "Red is..., Green is...." (Marcie). 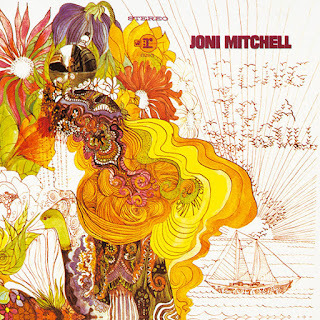 "Night in the City" has an actual refrain, but Joni's impossibly high notes render it impossible for most singalongs. The most quintessential Joni song on this album is also, for me, its best song: "Cactus Tree". It is only 1967, and Joni is already exploring what would become one of her central themes: the conflict between love and freedom. Each time the line repeats -- "she was off somewhere being free" -- it is sung with more urgency. In the Reckless Daughter anthology, every review mentioned this song. Many critics hear it as laced with regret, but I hear it as a wistful understanding. It is also a bold disruption of the popular image of women waiting for men to settle down and marry them. After three stanzas about the different men who court her, the song turns to the woman herself. The woman is full of love, but she knows that commitment, for her, will be poison. Perhaps the next, final verse signals a tinge of regret, as she describes the woman's heart "as full and hollow as a cactus tree" -- not exactly an image of warmth and comfort. (This is the first of many cacti in Joni's songs.) But the cactus is also strong, a survivor, and the heart is not only hollow, it is also full. She knows "they will lose her if they follow". She knows herself well, so she "rallies her defences". Other great songs on this album are "Michael From Mountains," "Night in the City," and "Marcie". Some of the songs also have a kind of pompous feel. In "I Had a King" -- said to be about Joni's brief marriage to Chuck Mitchell -- lines like "he's taken the curtains down" and the repeated "they never can" with the big flourish finish, seem too much like proclaiming. Such was 1967. This is an astonishing debut, especially when we consider it doesn't contain some of her best-known early songs. Judy Collins had already become famous for Joni's "Both Sides, Now", "Urge for Going" had been covered by both Tom Rush and George Hamilton IV, and Joni herself sang "Circle Game", "Chelsea Morning," and "The Song About the Midway" in clubs and festivals. According to biographer David Yaffe, in those days it was not uncommon for an artist to release only one or two major songs on their debut album, and save the really amazing stuff for their second album, once they had built a following. Bob Dylan is a great example of that, and Joni clearly did it, too. 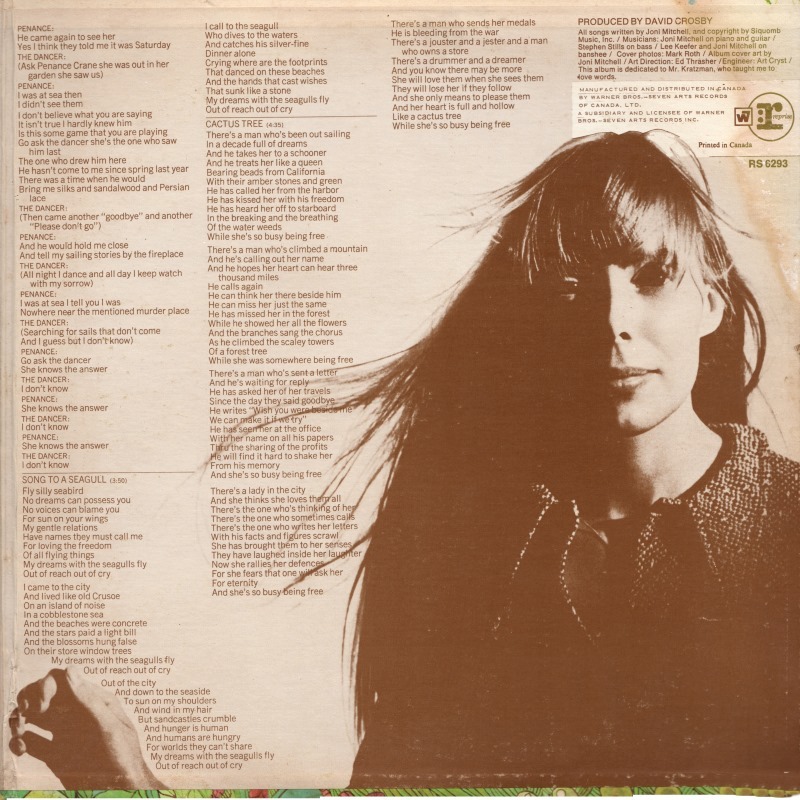 Yaffe says that by the time Joni went into the studio with her then-boyfriend and nominal producer David Crosby, she had enough original material to fill three albums. Although the title "Song to a Seagull" is clear in the photo (above), on the album itself, it's barely visible. It's written in the Vs that are birds in flight. I always assumed the album was called "Joni Mitchell," and I think many others thought so, too. The cover art is Joni's own drawing, and it references all the songs in the album, along with two fish-eye photos of Joni in a city, and some คาสิโนออนไลน์ แจกเครดิตฟรี 2019Hirschfeld-esque drawings of her own name. David Crosby is listed as producer, but apparently what he did most was keep others from ruining the music. Stephen Stills plays bass. Everything else is Joni, including background vocals and a bit of piano on "Night in the City". You can read the story of how we got these: here. This, below, is the smaller painting that the salesman added to the pot after the price would budge no further. It is possibly painted on banana leaf, a cheaper and less durable papyrus substitute. There is also a third, yet smaller painting, also "thrown in," but not display quality or worth framing. The celery-looking stuff is fresh papyrus. We watched Papyrus Guy make a small sheet. That's our painting behind them! In library school, you learn that the most important part of the reference transaction, or reference interview, is asking questions. Customers, it seems, rarely know how to describe what they are actually looking for. Most people ask for something entirely different than what they want. Tonight was a classic example. Woman: Where would I find paperback nonfiction? This is a bit of a strange question, because normally people don't specify hardcover or paperback when it comes to nonfiction. Me: Nonfiction is in a few different places, depending on the subject. Do you have a title, or a call number? Or the topics you're looking for? Woman: I want to read about kings and queens from a certain time period. You know, how they lived, what they did. Woman: But the stories aren't necessarily what really happened. It's real kings and queens but in made up stories. Me: Ah, so you're looking for historical fiction. Woman: Oh is that it? Me: What have you read that you like? An author you like? Usually in this genre, people read by author. I gathered the top names, and we went to the shelves. Working backwards in alphabetical order, we stopped first at Alison Weir. We pulled a few books and looked them over, but she seemed hesitant. Me: If this doesn't work for you, it's not a problem. Have you read much Philipa Gregory? Now this is a clue. Philipa Gregory is the top name in historical fiction featuring royalty. If the customer doesn't know her, something is off. We walk over to dear Philipa, but I'm losing the customer. She's starting to mutter to herself. Never a good sign! Me: Here's a paperback of a popular Philipa Gregory book. Me: I know exactly what you're looking for. We laugh and easily find some books. She walks out with any of the gazillion titles of historical romance novels, covers graced with dukes, rogues, rakes, scoundrels, pirates, and "highlanders," their bare chests gleaming, their lusty conquests dressed in long gowns, off the shoulder, with plenty of cleavage. To think I almost sent her to the third floor for history! but the readership is almost entirely female. Two new books about Joni Mitchell have come out, with -- strangely -- the same title. 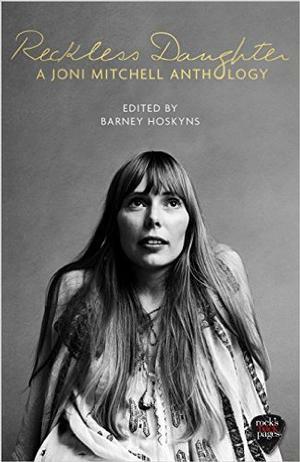 Reckless Daughter: A Joni Mitchell Anthology, edited by Barney Hoskyns, is a collection of stories about Joni* and reviews of her work. It's part of an ongoing collection called Rock's Backpages, which looks at rock through accomplished music writers of the last 50 years. I'm reading this now. Reckless Daughter: A Portrait of Joni Mitchell, by David Yaffe, is a biography of the artist and her music. It's especially noteworthy because of the unusual access Yaffe had to his subject. I'm going to read this after I finish the anthology. While reading reviews and impressions of Joni's earliest performances and recordings, I realized how long it's been since I've heard her early music. In some cases, at least her first two albums, I probably have never played as an adult! I decided I would listen to all her albums in chronological order, starting from the beginning. I'm going to try to write about the listening experience on wmtc. I don't know how this will go. I don't think I have anything particularly insightful or interesting to say about these albums, and I've never been able to write very well about music. My response to music is very emotional -- not intellectual, not analytical, and not verbal. My love for Joni Mitchell and her place in my consciousness is intense -- profound -- and thus very difficult to articulate. But if I'm going on this musical journey, wmtc is coming with me. Your comments, as always, will be very welcome. * I normally hate when female artists and athletes are referred to by their first names, often in contexts where men are referred to by their last names. But to her legion of devoted fans, Joni is Joni.